Atlanta Falcons: The Falcons are 7-4, and just defeated the Arizona Cardinals 38-19 at home. The Falcons are ranked 4th in total offense, and 3rd in passing offense. QB Matt Ryan has looked much more comfortable with an improved offensive line and a steady, reliable run game in Devonte Freeman. The pass defense is ranked 30th but the run defense is ranked 9th, and they are +3 in turnover differential. The Falcons have always been a dominant team in the Georgia Dome, and if they continue to play at a high level they could secure a home playoff game. With the balance they have on offense and the improving defense, we could see this team making a run in the playoffs. New York Giants: The Giants are 8-3 and are on a 6 game win streak. The Cowboys are the obvious pick to win the NFC East, but the Giants could still sneak in the wild card and make some noise. Eli Manning is an elite QB, and they have one of the best WR trios in football with Odell Beckham Jr., Victor Cruz and rookie Sterling Shepard. The Giants last two super bowl wins, they barely snuck into the playoffs then caught fire. This team has the potential to do that again, with Manning they are never out of a game. The defense has drastically improved from last year as well, ranking 16th in total defense and 5th against the run. The NFC East is always crazy, and we could definitely see the Giants spoiling the Cowboys super bowl run and make a deep run of their own. Denver Broncos: This is an unconventional pick from the AFC West, most would pick the Kansas City Chiefs. We like the Broncos because of their suffocating defense, they won a Super Bowl with great defense last year and they could make a run again. QB Trevor Siemian has played well, throwing for 2,396 yards 15 TDs and only 7 INTs. 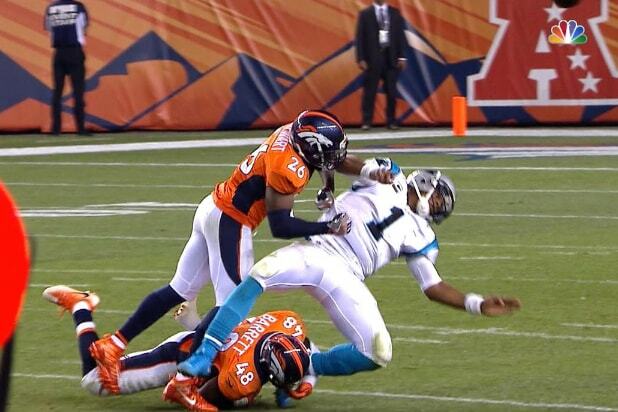 The Broncos have proven they can win b y not beating themselves and letting the defense keep the scores close. They still have an opportunity to clinch a playoff berth with games at the Chiefs and a home finale with the Raiders. If they sneak in, they will be a tough out with that stout defense and can cause problems to the explosive offenses in the AFC.